Dr. Jeffrey Morrison on Spelt and Modern Wheat. On September 11, 2012 Dr. Jeffrey Morrison was a guest on the popular talk show The View. In the clip Dr. Morrison addresses concerns about modern wheat. He also discussed ancient spelt as a great alternative to modern wheat. A. Spelt is an ancient grain widely recognized for its many health benefits. Triticum spelta, the scientific name for spelt, is a hardier and more nutritious cousin to modern wheat (Triticum aestivum). Some taxonomists classify spelt as a parent of wheat. You can substitute spelt flour for modern ‘common’ wheat flour to make breads, pasta, cookies, crackers, cakes, muffins, cereals, pancakes and waffles. In addition to spelt flour, spelt is also available in its de-hulled, whole grain form (often referred to as spelt berries), which can be prepared and enjoyed like rice.You can also purchase many spelt products such as pasta, crackers and breads ready-made, usually at health food stores, and of course at our own online store. One of the best things about spelt – in addition to its health benefits? It tastes wonderful! While whole wheat pasta tends to be grainy, and crumbles during cooking, spelt pasta retains its texture so it holds up perfectly under sauces and other ingredients. Q. Why is spelt an ‘ancient’ grain? A. Some of the earliest recordings of spelt appear in the Bible (Exodus 9:30, Isaiah 28:25, and Ezekiel 4:9). It is widely believed that farmers grew spelt as long ago as 5000 BC in the region then known as Mesopotamia – now Iran. As civilizations migrated westward, spelt moved along with them. It wasn’t until the early 1900’s that spelt migrated to North America – in 910 more than 600,000 acres of spelt were harvested annually in the U.S. alone. Q. If spelt has been around for so long, why haven’t I heard of it? A. When the Industrial Revolution rolled through in the early 20th century, spelt took a back seat to its more modern cousin, wheat. By the 1970’s there was virtually no spelt growing in North America, because the modern, hybridized version of wheat could be harvested and processed cheaper and faster. Today, thanks to a growing interest in more healthful foods – and the re-introduction in 1987 of of this nutritious grain by VITA-SPELT® (Purity Foods, Inc.) to North America – spelt is making a comeback. Q. So is spelt actually wheat, or is it a different grain? A. In a January 1, 2006 ruling, the FDA classified spelt in the wheat family, even though there are significant differences between common wheat and spelt, including that the molecular structure of the protein in spelt is more brittle and soluble, allowing it to be assimilated more easily. However, to follow the FDA ruling, we are required to list ‘contains wheat’ on all of our spelt product packaging, even though our products do not contain modern, common wheat as we know it. In fact, our processing plants are dedicated exclusively to spelt in order to eliminate any possibility of our spelt grains and flours coming in contact with common wheat during processing. Every VITA-SPELT® product is made from 100% pure spelt. Q. If I’m allergic to wheat will I also be allergic to spelt? Q. What makes spelt different from wheat? A. There are many differences. Appearance and DNA structure. Genetic and nutritional profile. Gluten content and makeup. Fiber content. Even though the FDA has classified spelt as wheat, this pure, ancient grain is significantly different – and much better for you – than its modern commercialized cousin. Even whole wheat, which has not yet been stripped of its fiber and nutrients, is nutritionally inferior to spelt. Q. What does spelt look like? A. Spelt looks a lot like wheat, with one very important difference. The spelt kernel is tightly surrounded by a tough outer husk or hull, which represents 30-35% of the grain’s total weight. Modern wheat is free threshing – it has been bred to lose its husk during harvesting, in order to decrease harvesting time and increase yield. Spelt is not free threshing. It has to be mechanically de-hulled, adding two additional manufacturing steps to the process – which makes it more costly to grow and process. What did we lose when we modified wheat to make it free threshing? A lot, as it turns out. We made wheat more susceptible to insects and diseases (which has led to the need for pesticides) and we stripped it of important nutrients. The tough outer hull on the spelt kernel protects the grain from disease-carrying insects, eliminating the need for toxic pesticides. Spelt is stored and shipped with its protective hull intact; it is separated just before being milled into flour. This helps to preserve the grain’s freshness and its nutrients – making it more nutritious than wheat. Q. Does spelt contain gluten? A. Yes, but . . . the gluten in spelt has a different molecular make-up than the gluten in modern wheat. It is more fragile and more water soluble, which makes it easier to digest. Spelt is also higher in fiber than wheat, and the extra fiber aids in the digestion of the gluten. Modern wheat has been bred to contain a high gluten content for the production of high-volume commercial baked goods. The content and character of the gluten in spelt has not been modified from its natural state. Awesome post! Thank you for the invaluable information. 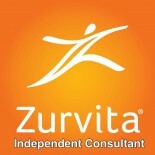 This entry was posted on September 30, 2012 by Zurvita.com/HealthRoads in Diet and tagged amino acids and more. Spelt is high in vitamin B2, and magnesium, celiac, cereals, complex carbohydrates, copper, diet, fatty acids, fiber, food allergies, low gluten, manganese, minerals, monsanto, niacin, non hybrid, sodium, soluble and insoluble fiber, spelt, sugar, sugar free, thiamin, vitamins, weight loss.